Up for sale is a set up geared toward a new wet shaver. This set's got a bit of everything. 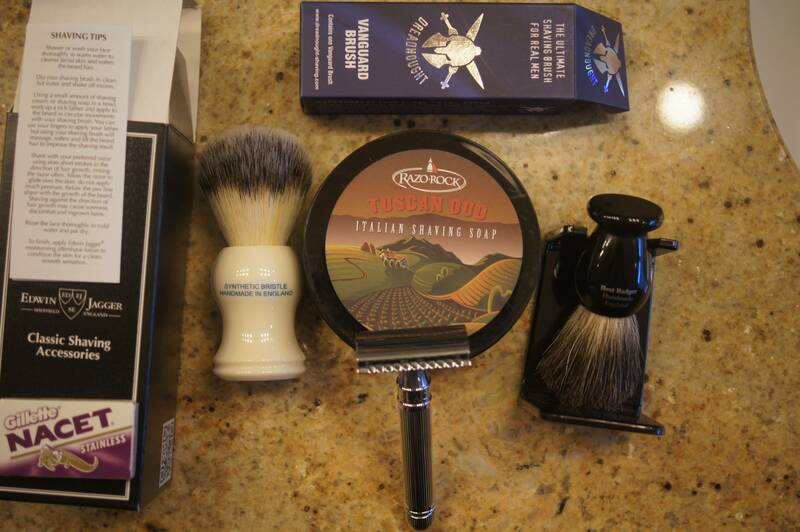 A well regarded start razor AND slant, a popular broken in boar brush, a badger brush, a synthetic brush and MORE! 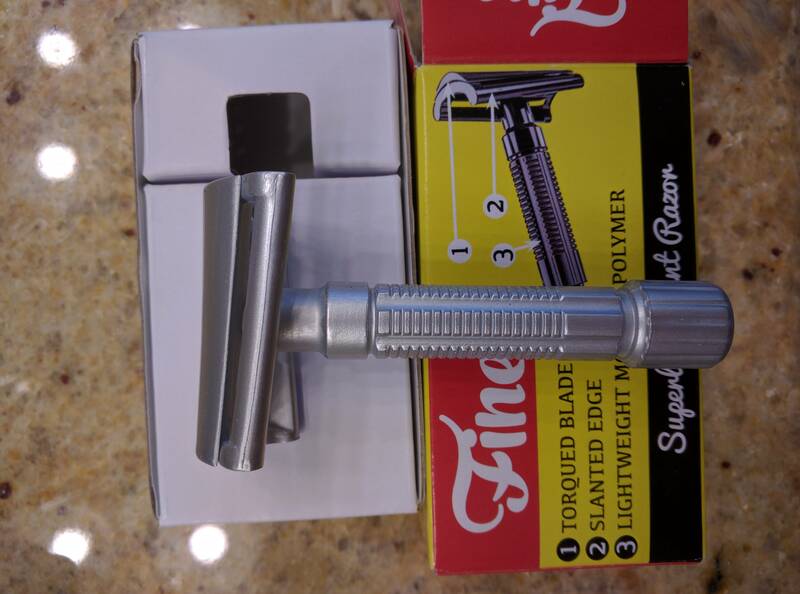 The razor was a replacement from EJ when my first razor broke; I've never used it since I purchased some solid stainless steel razors while awaiting the replacement. 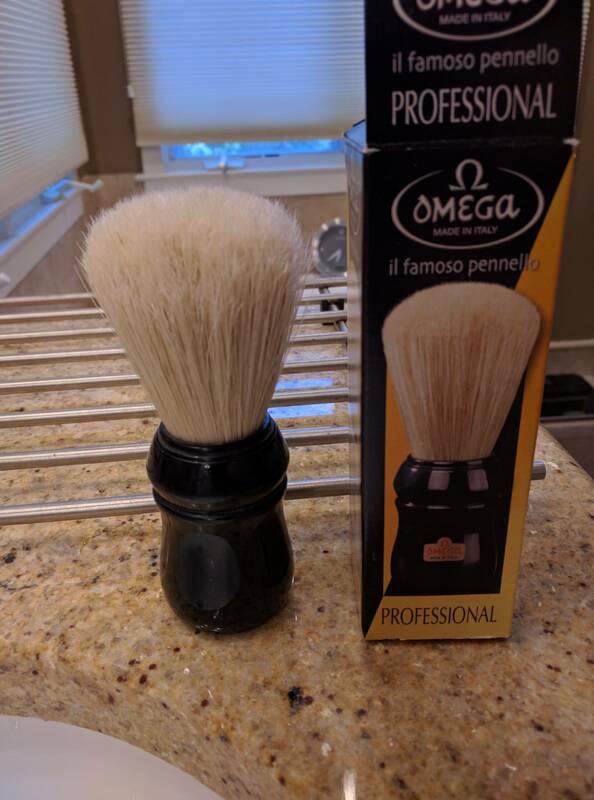 Upgraded to a Muhle Synthetic shortly after purchase. 7) Small EJ "Best" brush with Stand. Everything in the picture is included; Razor, two small brushes in badger and synthetic, a tub of soap and a couple pack of blades! Paypal Payment only to a verified address. Added slant and boar bush to package for a more competitive price point! Great for the new shaver in your life! Get both a well regarded razor AND a slant! Spencer that is an awesome deal! (06-16-2016, 07:05 PM)jsanchez Wrote: Spencer that is an awesome deal! Thanks. Definitely a set for the newbie in your life. I priced to cover the costs of the two razors plus shipping and paypal.... The rest are essential freebies.